Nutrition. Is there anything out there that is more confusing? High carbs, low carbs, good fats, bad fats, don’t eat at night, don’t eat anything but fruit until noon…It’s enough to make you scream. 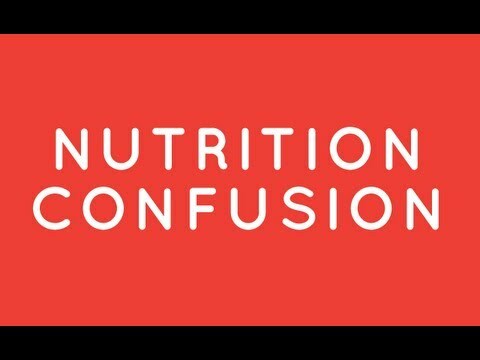 How can we possibly decipher all the nutritional mumbo-jumbo that is thrown around every day? Each time you turn around there is a new diet telling you what to eat and what to avoid. Well, take a deep breath and let’s see if we can make some sense out of all this confusion. By the time your done reading, you’ll have at least a basic set of ideas that should work for you. It still won’t be easy. I have been training people for 25 years and I call nutrition, the ultimate discipline. Let’s get some basics out of the way. We can break our food into a few basic components. Macro-nutrients (meaning Big stuff) and along with the big stuff we get Micro-nutrients (little stuff). Add water and you have your bases covered. Foods contain calories in the form of the three Macro-nutrients, Fats, Proteins, and Carbohydrates. These calories provide energy for our bodies to move, grow, repair and maintain themselves. Both Protein and Carbohydrates have four calories per gram. Fat has more then twice as many calories with nine per gram. Foods also contain Micro-nutrients in the form of vitamins and minerals. Micro-nutrients are important because they contribute to the many chemical processes that our bodies undertake for daily living. They do not however provide energy. When we say energy as it relates to food it just means calories. All food has calories and all calories can be burned to provide energy for the body. When we see something in the store called an “Energy” bar or Energy drink, it really just means that the bar or drink has calories. There is nothing magic about them. Most energy drinks have not only calories in the form of simple sugars but are also loaded with stimulants such as caffeine, guranna (an herbal form of caffeine) or other similar substances. This is where the “energy” comes from in the Zero calorie energy drinks. The above mentioned substances are Central Nervous System stimulants and are providing energy through a series of chemical interactions in the body. If you like to get the buzzed feeling of caffeinated drinks, but don’t like coffee then these types of drinks will do the trick for you. Just remember there are no magic substances in energy bars and drinks that will do anything for you that good, whole food cannot. For the most part these bars and drinks are just glorified candy bars and soda pops and their manufacturers are trying to get you to feel good about eating and drinking them. I know that nutritional planning is a bit confusing at times. How many meals a day should I eat? Do I need a certain percentage of my daily calories from one source or another? What should I drink and how much is enough? Well, that is what we are here to find out. So let’s set some guidelines that will help us get the most out our nutrition. Keep in mind that what most people lack when it comes to nutrition is discipline and consistency. The following guidelines are not new or magic, they are merely ideas to help you establish a framework from which you may create that disciplined consistency you currently lack. 1. Eat every 2-3 hours, no matter what. You should eat between 4-5 times per day. This does not mean eat giant meals every time you feed; this includes your snacks as well. Think of it more like grazing. 2. 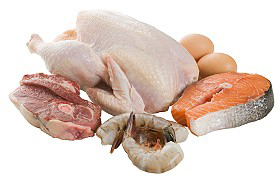 Eat some source of lean protein such as eggs, chicken, beef, lamb, turkey and fish, at every meal. 3. Eat fruits and or vegetables with each meal. The more different colors and textures the better. 4. Ensure that your carbohydrate intake comes primarily from fruits and vegetables. 5. Ensure that you get some fats every day. You want these to be primarily in the form of good or “friendly” fats such as those found from olive, flax seed and coconut oils, avocados, raw nuts and seeds, as well as fish like salmon, mackerel, sardines anchovy’s etc. 6. Drink primarily non-calorie containing beverages, the best choices being water and green tea. A good goal for water intake is about half your body weight in ounces a day. So, if you weigh 100 pounds, aim for 50 ounces a day and if you weigh 200, pounds aim for 100 ounces a day. (The rest of you can do your own math). 7. 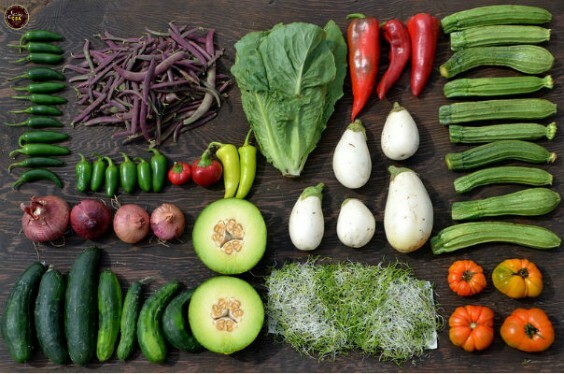 Eat mostly whole foods. This means foods found in their most natural state. There is no such thing as a donut tree and contrary to popular belief; nothing made out of flour (like bread, pasta and bagels) is a source of complex carbohydrates. 8. 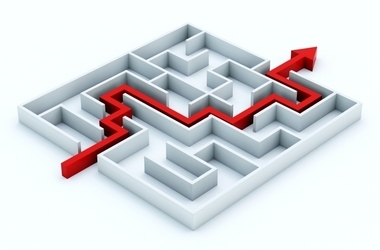 When you get off track, regroup quickly. Having one bad meal or snack here and there will not have a large impact on your overall success. What does negatively impact you is the snow ball effect. That common feeling of “well I screwed up lunch so I guess the whole day is shot”. Forget that stuff. Your next feeding is your next opportunity for success. So what does this type of eating look like? Here is a simple way to think about it. To create a healthy plate meal, simply view your plate like a clock. Fill the position of 12 o’clock to 6 o’clock with colorful fruits and vegetables; fill the space from 6 o’clock to 9 o’clock with carbohydrates like yams or sweet potatoes, and fill the area from 9 to 12 o’clock with lean protein in the form of beef, chicken fish and so on. Most of the time if you stick with just two sections, the fruit and veggie section and the protein section you’ll be doing just fine. If you do include starches, for best results don’t let that starch section get any bigger then about ¼ of your plate. So, don’t I need to know how many calories I am eating and how much fat etc? The answer is yes and no. For the greatest long term success I would recommend taking a few days and figuring this stuff out. Working with a good nutrition coach can really help. The most important thing however is that you just start making some good simple choices right away. I think you’ll find that when you do, the rest starts to take care of itself. 1. Scrambled Eggs and Fruit. 1 whole egg. 2-3 egg whites. Tomato, peppers onions etc (your choice). 1 large orange. 2. Cottage Cheese and Fruit. 1-cup cottage cheese (low fat or non-fat). 2 cups Fresh or water packed Pineapple or Peaches. I Tbsp Almonds (raw). 1. Tuna salad. 4-6 oz of Albacore Tuna in water (drained). 1-2 Tbsp of sweet pickle relish (optional). 3-5 Tbsp of celery (diced). 15-20 seedless grapes. 1-1/2 Tbsp Mayo (homemade or safflower). 2-4 lettuce leaves. 1 large apple. 3. Cantaloupe Fruit Salad. ½ of a melon. I cup cottage cheese (low fat or non-fat). 5-10 seedless Grapes. ½ cup sliced Strawberries. 2 tsp Sunflower seeds. 1. Chicken salad. 4-6 oz chicken. 2 tbsp walnuts. 1 apple chopped. 1-cup grapes (cut in halves). 2 tbsp mayo (safflower or home made). 1-cup green beans. 2. Grilled Salmon and Vegetables. Salmon steak grilled (4-1/2 oz). Onions sweet large size (3 thick slices). ½ green pepper (sliced). 1 zucchini (sliced). 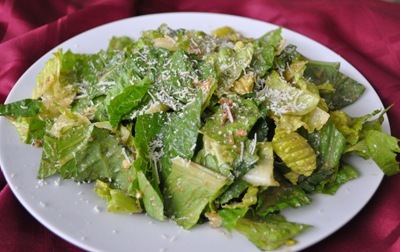 Green salad (2 cups). I cup Peaches, fresh or frozen for desert. 3. Beef Tenderloin Dinner. 6 oz extra lean beef. Asparagus spears (10 – steamed). 3-4 cups green salad with tomato. Fresh fruit for dessert. 1. Cottage cheese with Pineapple. 1-Cup cottage cheese w/ 1-cup pineapple. 2. Hard-boiled Egg and Fruit. 1 whole egg. 1 egg white. 1 tangerine or orange. 3. String Cheese and fruit. 1-2 string cheese. 1 apple. If you are serious about your health, you should be serious about your nutrition. Our health comes from the inside out. Feed your body good food, drink water and get enough sleep every day and you have gone a long way to insuring optimal health and high function for years to come. When we eat well it supports everything else we do. It makes it that much more likely, that you will achieve your athletic and aesthetic goals as well as perform at your best in the boardroom or on the mat. Remember, every time you go food shopping is a chance for you to make great choices. Now get out there and get to it. 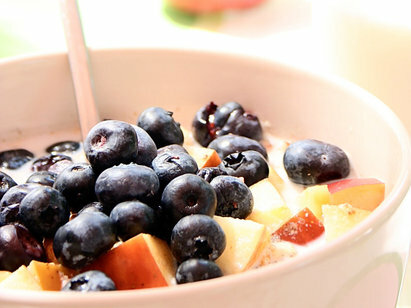 1 medium sized fruit, ½ banana, 1-cup berries, ¼-cup dried fruit. 1-cup melon. ½ cup cooked or raw, 1 cup leafy. 4-5 oz fish, poultry, pork or lean beef. 1-cup tofu, 1-cup cottage cheese. ½ cup cooked rice, pasta or grains, ½ cup cooked cereal. Place all ingredients in a jar and shake until blended. Hey everyone, I am taking a little break. This will be the first time in 5 years that I have not updated my blog at least once a week or so. For new visitors, I have five years worth of stuff on here so there is tons of great information to keep you busy. For any regulars (if I actually have some) don’t worry, I’ll be back soon, and fired up to get things going again. Till then, take care, be well, and enjoy the rest of your summer. This week I want to talk about the basics of buildng total-body strength. The cornerstone is hard work on basic exercises. Make your workouts brief, intense, and infrequent. Be consistent, train hard on two or three non-consecutive days per week. Below are seven exercises everyone should strive to include in their workout plan. These seven exercises are probably responsible for building more strength and muscle than almost any other exercises around. You can include these movements as part of your overall plan, or you can build your routine entirely around just these seven exercises alone. This week I offer another brief, intense, efficient strength training program. It’s called the “DOUBLE EIGHT”. This workout was created by Dr Wayne Westcott. It is a combination of classic Arthur Jones style H.I.T. training, paired with the equally classic Delorme Watkins protocol. The Double-Eight Program is based on the subject’s eight-repetition maximum (8RM) weight-load, which is typically completed with approximately 80 percent of maximum weight-load. Each exercise repetition is performed in about six seconds (a two-second lifting phase and a four-second lowering phase), through a relatively full range of joint movement. Set one. The first set begins with eight repetitions at 50 percent of the 8RM weight-load, Although this is a relatively light warm-up set, it activates the neuromuscular system in preparation for a relatively heavy follow-up set. Due to the low effort required for the first set, lifters rest only 60 seconds before performing the second set. Set two. The second set is performed with the 8RM weight-load, and lifters perform as many repetitions as possible. Exercisers almost always complete more repetitions with their 8RM weight-load when they first perform a preparatory set with 50 percent of their 8RM weight-load. The time requirement for the light exercise set (50 seconds), recovery period (60 seconds) and heavy exercise set (50 to 60 seconds) is less than three minutes. If lifters complete eight multi-muscle exercises per workout, the total training time (including a one-minute recovery between exercises) is about 30 minutes. Progression. To enhance performance improvement, exercisers can increase the 8RM weight-load whenever nine repetitions can be completed in good form. To emphasize gradual progression, they generally add only 2.5 to 5 pounds of resistance to the previous weight-load. In many cases, our participants increase their exercise weight-loads every training session. Frequency. Although brief, the Double-Eight Program is so physically demanding that our participants only perform two workouts per week (typically Mondays and Fridays). This provides ample time for muscle recovery and remodeling, and reduces the risk of overtraining. Exercises. For our program, we prefer a push-pull routine, pairing opposing muscle groups on successive exercises. Our standard eight-exercise program is presented in Table 1. As you will note, these are all multi-joint exercises that involve several major muscle groups. The Double-Eight Program is a basic and brief strength-training protocol that features a low-effort preparatory set with 50 percent of the 8RM weight-load, followed by a high-effort stimulus set with the 8RM weight-load. We recommend a 60-second recovery period between the successive sets, as well as between the different exercises. We have had excellent results with this structured and supervised 30-minute high-intensity training program. l. A limited number of exercises, each of which involve several major muscle groups. 2. An alternating sequence of pushing and pulling exercises. 3. Neuromuscular facilitation of the prime-mover muscles, resulting from the preparatory, low-effort exercise set. 4. A focus on one high-effort set of each exercise. 5. One-one-one training sessions with encouraging instructors. Incline Press Pectoralis major, anterior deltoids, triceps 8 easy reps with assistance 8 hard reps.
Give the DOUBLE EIGHT a try. You’ll be glad you did. 1. The bottom line: if the total number of calories consumed is less than the number used to support basal metabolism, thermo-genesis and activity energy demands, weight LOSS will occur. Likewise, weight GAIN will occur if calories consumed exceeds energy demands. 2. 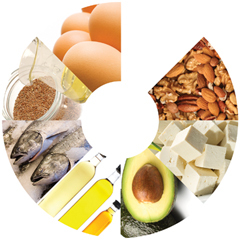 Due to their various functions within the body, the time-proven breakdown of the daily recommended percentages of the three macronutrients – carbohydrates (40-55%), proteins (20-30%) and fats (25-30%) – is still reasonable advice. 3. You can’t go wrong if these are on your grocery list: fresh fruits and vegetables, whole grains, high-fiber foods, skinless chicken and fish, lean red meat and anything low in saturated fat, high fructose corn syrup, white flour and sodium. Attempt to emphasize complex carbohydrates over simple sugars and go for lean, unsaturated proteins over high-fat proteins. 4. Nothing beats plain old water. 70% of your body is water. Drink periodically to stay hydrated. It’s literally free, for Pete’s sake. 5. Eat breakfast! If you skip it, then eat lunch at noon, you will have gone 12 -16 hours without food from the previous day! Skipping breakfast slows your metabolism, lowers your energy level, hinders muscle weight gain for those attempting to build muscle and encourages binge-eating later in the day. 6. 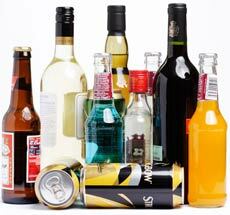 Excessive alcohol consumption = dehydration, increased fat storage, lower strength levels and a greater risk of a D.U.I. None of those options are attractive. 7. Pre- and post-exercise feeding: pre-exercise = complex carbs + low in fat. Post-exercise = simple carbs + protein. 8. If you are attempting to lose body fat, a) strength train regularly (to keep metabolically expensive muscle), b) eat fewer calories spread out over 5 to 6 feedings each day (speeds metabolism and creates a calorie deficit) and c) be disciplined not to eat if feeling hungry between feedings (indicates your tapping fat storage sites). 9. 5 minutes of bad eating can negate 30 minutes of traditional exercise. 6 x chocolate chip cookies = 300 calories. 150 lb. man jogging at 10 miles/hour pace for 30 minutes = approximately 300 calories burned above BMR. Message: if you spend time “working out,” be disciplined in your eating. 10. 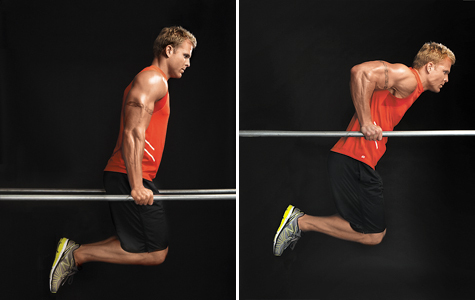 More bang for the buck: try circuit strength training. Rather than plod away at a low-level for 30, 45 or 60 minutes on a treadmill, elliptical machine or running track, a more time-efficient 20-30 minute strength training circuit will not only use more calories per unit of time, it will also increase calorie consumption post-exercise due to a greater recovery demand placed on the body. Physically demanding circuit strength training is the total package: more muscle contractions = more energy expended, more muscle fibers overloaded = better muscle tone / strength, and the higher the intensity of work = the greater the demand placed on the cardio-vascular system. TAKU’s NOTE: This weeks article courteousy of my friend Tom Kelso. “Did you have a bunch of loose skin after you lost the weight? TMI is also a common cause for procrastination. People often tell me that they won’t do aerobic exercise because they just bought a heart rate monitor and they aren’t sure at which heart rate zone they should be exercising. 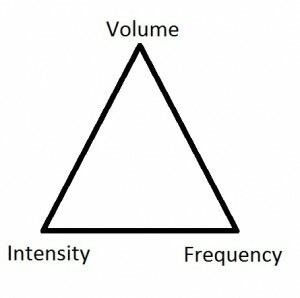 (See my website http://www.xbigman.com/faqs/faq_05.html for a short discussion of heart rate zones). 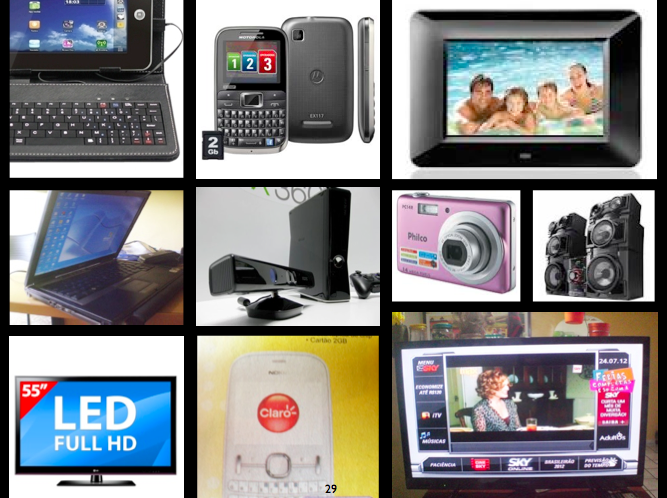 Do you recognize a pattern here? Our misplaced fears and TMI are causing us to put the cart before the horse. 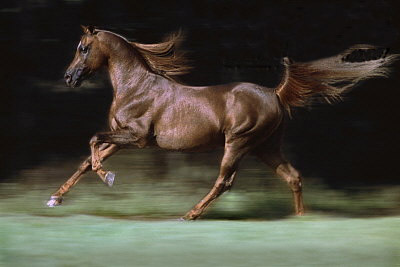 We need to be the horse and gallop into action. I procrastinated myself into a 368 pound body more than 16 years ago. With each “wait,” I gained more weight. I could feel my life flowing out and my body shutting down. What finally gave me the courage to act was the realization that any move I made would be an improvement over what I was not doing. I bought a stationary exercise bike and struggled to ride it for two minutes. Rather than get discouraged and procrastinate, I got back on the bike and rode it the next day. Each additional minute I could ride was an immediate triumph that fueled my determination. That simple action of riding a bike for two minutes led to a four-year campaign to reclaim my life and gain an even better life. A few years back, on February 12, I celebrated my 50th birthday and I was truly thankful that I took that two-minute ride. That ride let me stick around long enough to find a beautiful wife, have two beautiful daughters and find my calling as a Personal Fitness Trainer. I am just getting warmed up. I know there are other people out there that are desperately seeking the courage to start their own ride and find the joy that I have been able to find. To these people I say if I can do it, anyone can! If you are one of these people who struggle to get started, remember that any small step is a step in the right direction. Doing nothing will always get you nothing. Get a check-up from your doctor. Once your doctor has cleared you for exercise, get started now! Exercise can take many forms and does not have to be at a gym. Walk rather than ride a car (or park farther away so that you can walk). This information will help you discover triggers to overeating and what I call “leaks.” A leak is consistent consumption of high caloric, low-nutrition foods and beverages. A classic leak is sodas and alcohol. A person who gives up one soda or alcoholic beverage per day can actually lose approximately ten pounds in one year. That’s it for now. I have yet another AARP application to turn down! “Things may come to those who wait, but only the things left by those who hustle.” Abraham Lincoln (Abe and Mark share the same birthday). TAKU’s Note: Thanks to my friend and colleague Mark “X-BIG MAN” Davis for sharing some of his experience with us here at Hybrid Fitness. 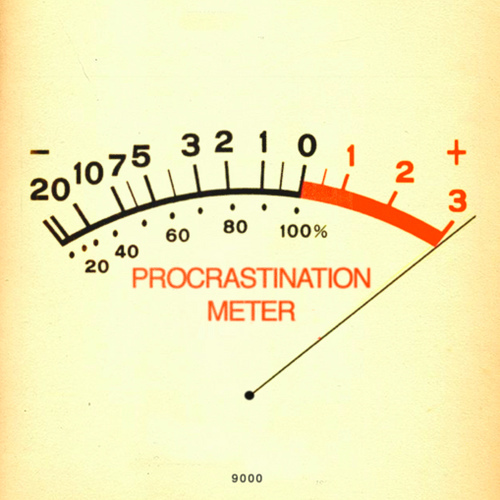 I know that procrastination is something I fight with every week. Now turn off the computer and GET TO IT!! In the 70’s I was training with Arthur Jones at the Quonset Hut at Deland High School . I had met Arthur (“Art” at the time) at the Teen Age Mr. America Contest held in York Pa. After much urging and prodding by Arthur I started making the trip up to Deland and Lake Helen , Florida 1-3 times a week. I was living in Winter Haven , Florida and it wasn’t a short drive. I had an opportunity to go to work for Arthur on the ground floor of the new Nautilus operation. I chose, instead, to go to work elsewhere. I went as often as I could and became friends with many of the people that came and went. With Arthur’s recommendation I started working for POLK Jr. College ( Now POLK College ) as a Strength Coach using a full line of new Nautilus and some Universal equipment. I wasn’t able to go up and train as often once I started with PJC but felt I had what I needed to train well. As time went on Nautilus grew and then exploded! Nautilus was everywhere and was killing the competition. Fast forward a few years and I had gotten busy and Arthur was really busy. We had less contact, except for a phone conversation now and then. I had fallen out of the loop. I got a computer and started looking around for training info. Fortunately “Cyberpump” was one of the sites I found. On Cyberpump were many articles by Matt Brzycki. I printed everything by him I could find, also everything by Dr. Ken. What they were writing about was what I remembered when I was going to Deland. My interest in “High Intensity Training” had peaked again. On a vacation to Naples , Florida , I took a stack of articles to read by the pool. While reading the articles I found out about the first edition of “A Practical Approach.” I dropped everything and went looking for a bookstore. I found the book and went back to the Ritz Carlton and immersed myself in this book. I was hooked. During this time I was asked to write some articles about my experience with Arthur. I called him and asked his permission and he said “Do what you want.” That is how I got involved with sharing my “HIT” experience, Matt along with Dr. Ken, were the catalyst. Thank you Cyberpump and Bill Piche. I thought the first edition was good but this new one is far better. It has much, much more information on many more subjects, with up to date, current information. It is now a complete manual on Strength Training and Conditioning, on several methods, levels, and subjects. 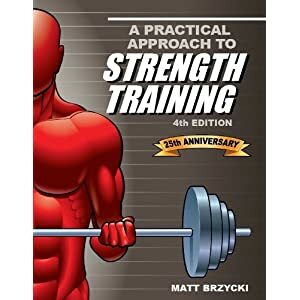 Like the title says it’s “A Practical Approach.” Matt has a great deal of experience as a competitor, Coach, Trainer, and speaker, years of it. We first met at a Tampa Bay Bucs Clinic, where he was one of the main speakers. We both got bored at the same time and met in the lobby and had a nice talk. He reads all the research and unlike me, actually understands it. Combined with all this experience and all his contacts in the Strength Community, we are the ones that benefit, anytime Matt starts writing. Chapters 18 through 23 were very much of interest to me as well as Chapter 3. I really enjoyed this book! In 1984, I started writing articles for magazines. After a while, my plan was to write articles such that I could later re-write them as chapters and then organize them into a book. By 1988, I had stockpiled enough articles to form the backbone of a book. Around the middle of the year, I sent a book publisher a proposal for A Practical Approach to Strength Training. I soon learned that getting an article accepted for publication in a magazine was much easier than a book. My first five proposals to publishers were rejected. In late January 1989, I sent out one more proposal. I decided that if it resulted in a sixth rejection letter, there would be no more attempts. The proposal was accepted and, as they say, the rest is history. In 1991, I wrote a second edition which wasn’t much of a change from the first edition. For the most part, I re-wrote some of the content, corrected a few mistakes and added a little new material but, again, it wasn’t much of a change. Although the first two editions sold nicely and were generally well accepted, they were criticized by some for being too anecdotal without much in the way of scientific support. In 1994, I decided to answer the critics with a third edition that focused on the relevant research. That edition – published in 1995 – was quite different from the first two. For one thing, the third edition was much larger, in format as well as content, going from 7 x 10 and about 40,000 words to 8.5 x 11 and about 90,000 words. Second, there was a greater emphasis on research. Unfortunately, the book was so research-based that it was somewhat difficult to read. A lot has happened in the industry since that third edition came out 17 years ago. So I had nearly two decades of catching up to do. One of the great things about working at a university – at least from my perspective – is free, on-line access to dozens of peer-reviewed journals. Having this type of research literally at my fingertips was a tremendous help in doing the fourth edition. This new edition has given me the opportunity to fill in the gap, so to speak, with everything that’s gone on in the fitness industry during the past 20 years or so. It has also allowed me to revise old content, add new content and correct what I thought was a huge shortcoming of the third edition and that was the writing style. This fourth edition is a much easier read with a more conversational and less “militant” tone yet still has a strong reliance on the scientific research. And despite what the title suggests, this book goes way beyond strength training; it’s really more of an all-around fitness book. Matt, you did what you set out to do. Well done. Thanks! TAKU’s NOTE: I have several copies of Matt’s book (3rd edition), and it is one of my favorites. Like Jim, I am a big fan of Matt’s work and have read everything of his I can get my hands on. He is a masterful writer with an excellent grasp on the intricate workings of Evidence based strength and conditioning protocols. I am really looking forward to picking up a copy of this book.